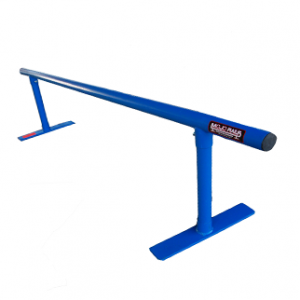 The square 6ft Flat Bar Grinding Rail is perfect for perfecting your Skateboard, BMX Bike, Extreme Scooter, Snowboard, Inline Skate trick skills. With heavy steel construction, this grinding rail will be able to withstand your best and your worst! With an adjustable height and powder coated finish give you the ability to test your skills the way YOU want, where YOU want. The Mojo Square Grinding Rail is perfect for perfecting your Skateboard, BMX Bike, Extreme Scooter, Snowboard, Inline Skate trick skills. With heavy steel construction, this grinding rail will be able to withstand your best and your worst! With an adjustable height and powder coated finish give you the ability to test your skills the way YOU want, where YOU want. The square 6ft Flat Bar Grinding Rail is perfect for perfecting your Skateboard, BMX Bike, Extreme Scooter, Snowboard, Inline Skate trick skills. 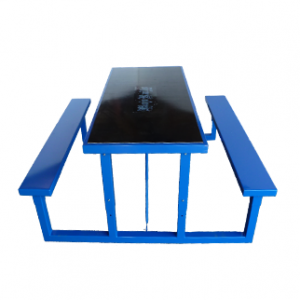 With heavy steel construction, this grinding rail will be able to withstand your best and your worst! With an adjustable height and powder coated finish give you the ability to test your skills the way YOU want, where YOU want, at the level YOU are at. Test your skills on this 3′ Mojo Quarter Pipe Mini. It is the Best 3′ Quarter Pipe on the market. Featuring commercial quality steel, wood, and plastic, this 3′ Quarter Pipe offers you years of use. Being large enough to challenge and improve your skills for competition, all of your friends will want to give it a go. Weighing in at a combined 105 lbs and with a 1 7/8″ coping transition from platform to ramp, this 3′ Quarter Pipe provides you the ability to test your skills the way YOU want, where YOU want, at the level YOU are at. 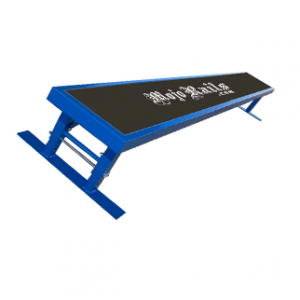 Test your skills on this 4ft x 4ft x 8ft Mojo Quarter Pipe. 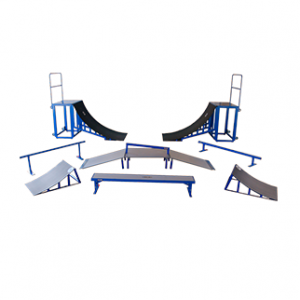 Grind the coping or chill on the large platform while you plan your next trick. Take it to the next level by adding 2 side by side ramps or by putting two Mojo Quarter Pipes face to face to make a FULL 1/2 Pipe. Weighing in at a combined 400lbs, you have the ability to test your skills the way YOU want, where YOU want, at the level YOU are at. 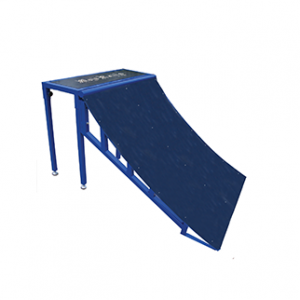 Test your skills with our heavy duty Blue Round Grind Rail with a Blue Powder Coat finish. 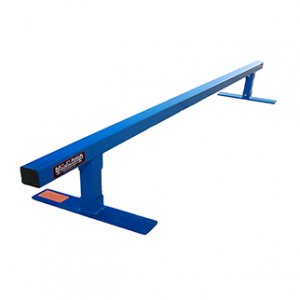 This 7 foot long Grinding Rail has 3 height extensions and easy to adjust leg inserts – 4″, 8″, 12″. 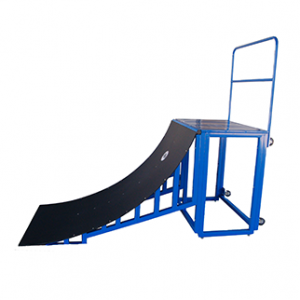 It is perfect for perfecting your Skateboard, BMX Bike, Extreme Scooter, Snowboard, Inline Skate trick skills. 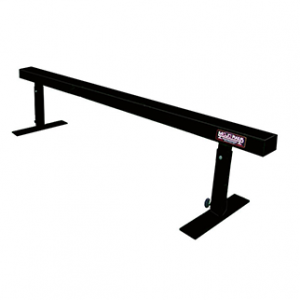 With heavy steel construction, this grinding rail will be able to withstand your best and your worst! With an adjustable height and powder coated finish give you the ability to test your skills the way YOU want, where YOU want, at the level YOU are at.